No parent likes to think about their child being in pain. It’s the stuff of motherhood nightmares, and it’s the reason you take such good care of your little one. Anything to make sure that they’re healthy 100% of the time. The trouble is that all children hurt themselves sometimes. Youngsters are fearless. They play rough and fail to see danger before it’s too late. It’s all part of the learning process. But, that doesn’t make it any easier. If your child comes home complaining of an ankle injury, for example, your first instinct may be to take them to A&E. In some cases, that is best. After all, their bones are still at a crucial development stage. Before you rush off and spend hours in a waiting room, though, consider the following reasons for the pain in your youngster’s ankle. Often, a child will complain of an ailment without first telling you about a fall or some other accident at school. Blame that good old selective memory which us parents know so well. Either way, it’s possible that they just bruised their ankle playing football. Far from being a waste of time, heading to A&E for this would be embarrassing. Before you take action, then, ask your child why they’re experiencing pain. If they don’t tell you, it doesn’t hurt to phone their teacher and ask. More often than not, they’ll be able to confirm your fears and put you at ease. When they’re young, our kids can outgrow shoes the moment we leave the store. And, guess what? Shoes which don’t fit are a principal reason for ankle pain in kiddies. That’s why this should be your next port of call. Ask them if their shoes are comfortable, and get them to walk up and down in front of you. If their toes come straight to the ends of their shoes, or their ankles struggle to fit, you can bet this is the issue. In that case, investing in a new pair could be all it takes to ease that pain. Sometimes, joint pain in kids is altogether more serious. It could even be a skeletal or growth problem. In these cases, your child may need special shoes or even ankle-foot orthosis to ease any pain. Luckily, catching things early could see you straighten this out before it becomes an ongoing issue. The key is to book an appointment fast, and invest in additions like these afo socks for kids to keep your little one comfortable. Sure signs this could be necessary include ankle swelling and difficulty walking. If you’ve eliminated everything else, then, medical help it should be. It may be your worst nightmare, but keeping your head about you is the best way to get to the bottom of ankle pain. It may be nothing at all, or it might be something which needs addressing. Either way, panicking is never going to help you! 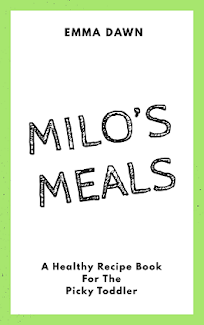 Check out my book Milo’s Meals: A Healthy Recipe Guide for The Picky Toddler available on Amazon in convenient eBook and paperback! A overly caffeinated Financial Broker by day, a chilled rose' sipping "Mompreneur" by night. I am passionate about being the Creator behind this blog, Host of the Emma Dawn Podcast, and Author of the healthy toddler inspired recipe book Milo's Meals. All while stumbling through mom life as a solo parent.